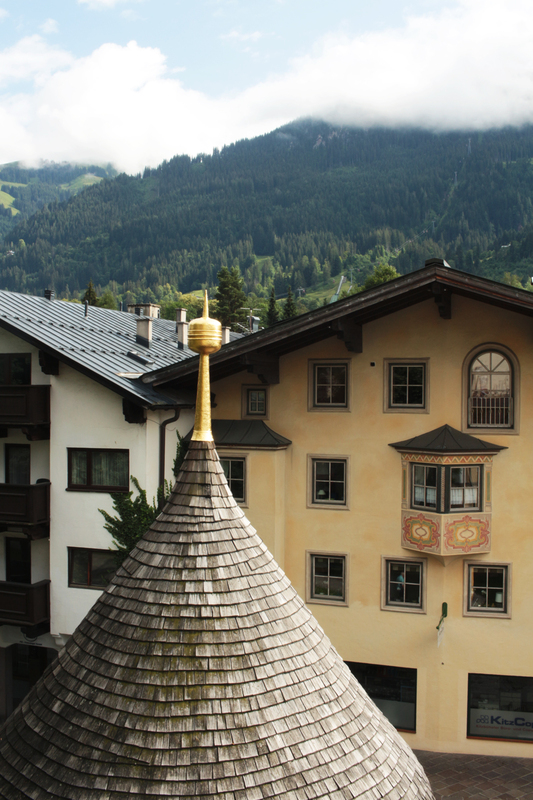 So here’s a couple of assorted photos of Kitzbühel town. It’s a ski resort in the Austrian Tyrol, about equidistant between Salzburg, Innsbruck and Munich. It’s a very exclusive and expensive ski resort, with a Cartier shop on the high street, but I was there in the summer to run a school workshop, and the children I taught were from very normal backgrounds, being the children of local teachers, nurses, hotel staff etc, rather than the international jetset. I won’t write a lot about the town and the trip here, as I’m writing a zine about it. 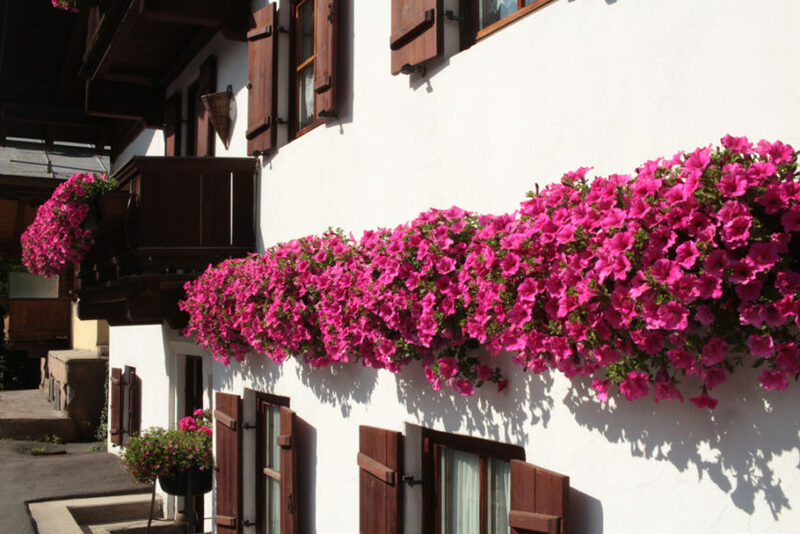 Most of the houses (and the hotel I stayed in) in the area were pretty chalet-style, with balconies covered in flowers, like this one. 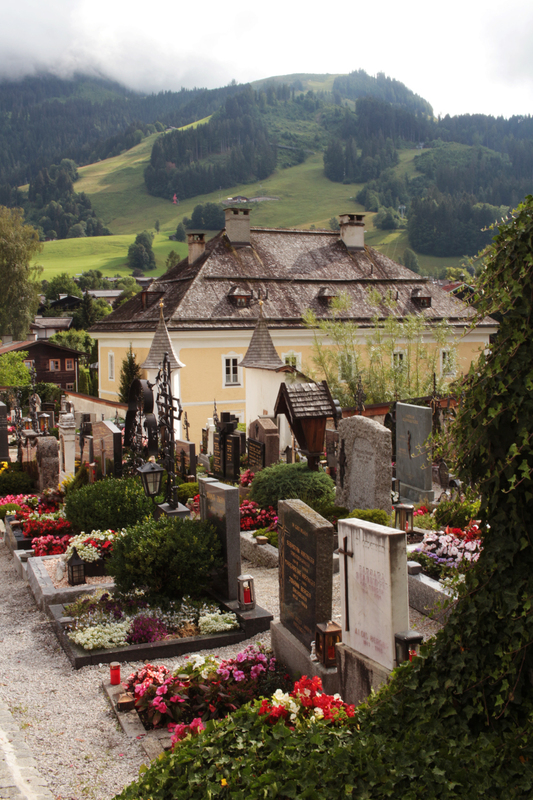 Even the local graveyard has spectacular views. That’s one of the foothills of the mountain from which I took the photos in the previous entry.